At long last, signs of spring at my house! 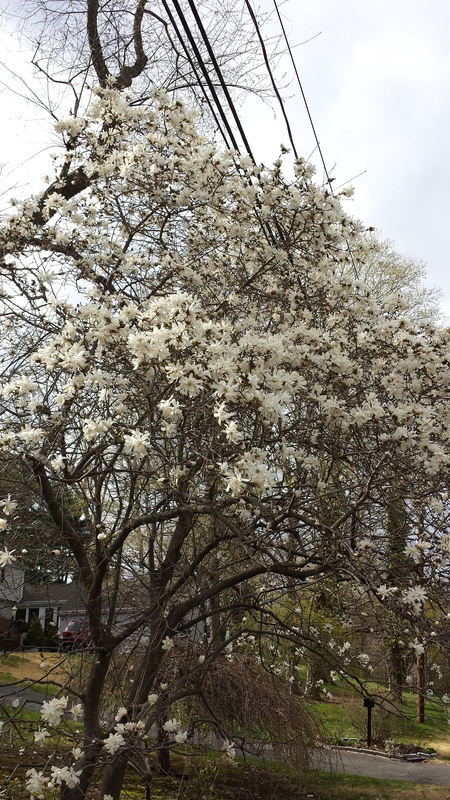 This is my star magnolia (magnolia stellata) in bloom. Quite often my weeping cherry will bloom right along with it but not this year. But then again, what’s normal about this year? You can see the cherry just behind the magnolia, budding out. Perhaps next week. Here’s a close-up of the flower. 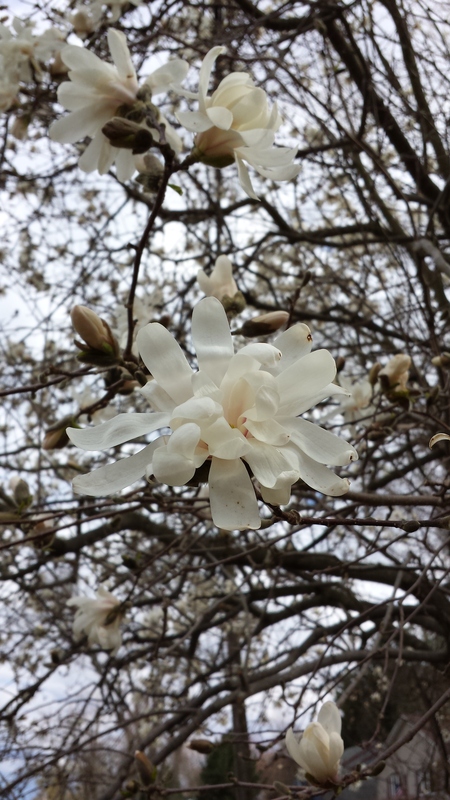 Perhaps next week my yellow magnolia will be in bloom. Always something to look forward to this time of year!